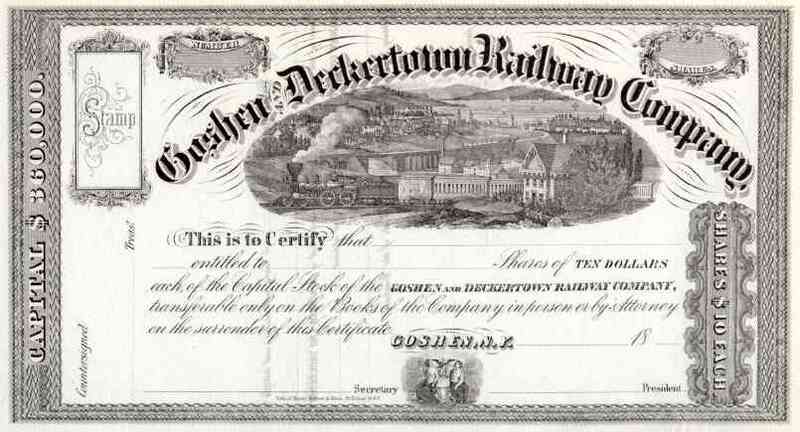 18__ Goshen & Deckertown RW Stock Certificate. Very attractive New York railroad scripophily document with vignette of steam train leaving town along river. This short haul line was completed in 1869 and was part of the the New York Lake Erie and Western RR system. EF condition.